Filing your taxes should not be this treacherous. We can prepare your taxes securely online or in person – it’s up to you. With the experience of over 1000 tax returns filed every year, we can guide you through this and file your taxes quickly and easily. 1) Contact us for a quote. 2) Upload your documents securely online or drop them off in person. 3) Review your prepared taxes securely online and “click” to sign, or come in to finalize them in person. 4) We e-file for you, and it’s done. Save time and avoid frustrating tax problems. With us as your guides, you get peace of mind. The end result is reduced anxiety and more time to do the things you want to do. Our tax preparation fees are based on complexity. We charge by the form. One percent of all sales go to local and global charities. *We charge additionally for a few other schedules and forms that are not listed here, and we charge hourly for those who need extra time and attention. Tax preparation services for Honolulu and All of Oahu. Do not stress about completing your taxes. We can get this done fast, easy, and for a reasonable price. We have thoughtfully prepared thousands of individual, family, and business tax returns. We also have extensive experience with handling audits and representing taxpayers before the IRS. Put our commitment and experience to work for you and we will give you our best. 1% of all gross sales go to local and global charity. For expat tax services for US Citizens living abroad, please click here. Individual, family and business tax matters are our specialties. We have built our firm around offering high quality tax return preparation services for locals and the military with lower fees than the big mainland companies. Let’s keep as much of your money as we can within the family rather than on Wall Street or Capitol Hill. Sleep well at night knowing that we will prepare your tax return with accuracy and integrity. Our firm’s policy is to provide a discount from regional average prices – despite a high demand for our service and the high quality level of our service. This business model is designed to offer great value to our clients. For a complete list of our fees, click here. Please note that we do not take clients who want to write off bogus deductions or wish to hide income. If this is you then we are not a good match. Respectfully, we ask that you find another tax service. If you are behind on your taxes, however, we can help! It’s actually somewhat common to be in this spot – and it’s usually because of not having a good tax preparer to begin with. If this is you – don’t stress out. Give us a call and we will help you get caught up. Tod and his team will get your taxes filed quickly and easily. Save time and money. Contact us today! When you contact us about your taxes, you won’t be met with any pushy and tricky sales tactics used by the mainland companies. They are generally nothing but bad deals for customers – which to us is a conflict of interest. Not to mention all of the up-selling and cross-selling going on as your taxes are completed. We find that locals and military residents can see right though these tactics anyway. It alienates their trust. It seems to us that this marketing style clashes so harshly with our local culture that they probably end up actually losing business because of it. Have you ever seen the person on the side of the road dressed up like the Statue of Liberty? We don’t know about you but this makes us feel a little disappointed. They are standing out there in the sun earning minimum wages while making more profits for the big shareholders. Our first instinct is to bring these workers a bottle of cold water and a plate. I’m sure we’re not the only ones who feels this way. Their fees over there are higher than what we charge too, and the preparers are (mostly) less experienced. They pay their preparers a tiny portion of what they charge and the rest of the money goes right to Wall Street. It’s very frustrating. If you contact us about your tax situation, you won’t be faced with any of these games. Instead you will simply find that we are a tax firm who is ready to listen to your concerns, charge a reasonable price, and do a good job for you accordingly. We do not try to push credit cards, life insurance, financial schemes, or other non-tax related items on our clients. No tricks. We are a simple, easy, and affordable solution to your tax filing needs. Given the high cost of living in Hawaii, most local families that own their homes posses big mortgages. From a tax perspective, this is good news. Home owners often get to write off mortgage interest, property taxes, points paid to originate a loan, and even mortgage insurance costs. These deductions allow taxpaying families to itemize deductions, making other common tax write-offs possible. You can count on us to ask all of the right questions to make sure that we include your deductions in order to maximize your refund. Many of our Keiki are growing up fast and going to college. At Tax Services Oahu, we make sure that you optimize your educational tax credits. Most of the time it’s best for the parents to claim these credits, but not always. We promise to take the time to figure out which is the absolute best way for your family to file. We also help advise how to keep track of your education expenses that we claim just in case the IRS requests substantiation (they sometimes do that when it comes to education credits). The tax code was not specifically written to coincide with the concept of “ohana” that runs so deep in Hawaiian Culture. This honorable native influence has poured generously into the modern resident demographic, regardless of ethnic origin. We take care of each other (even strangers) at levels unmatched by the mainland states. When it comes to tax purposes, however, the tests involved with claiming dependents can be complicated and confusing. You can count on me to decipher the best way to file. Our goal is to maximize your deductions and credits while still adhering carefully to the tax code. This way you get the biggest refund check possible, but we all can still sleep at night. At Tax Service Oahu, we only complete tax returns that we know to be ethical. When it comes to claiming those who we take care of we must be very careful to remain within the law. If you are looking to get away with things that you know to be wrong, it’s probably best please that you find another tax preparer. No deal. We mean this respectfully, but if this is what you are seeking, then we are not a good match. Here is another area in which we have experience. We offer affordable tax preparation when it comes to including your rental information on your tax returns. Have you been blowing off your Hawaii GE Tax? Enforcement is unpleasant and has been on the rise. We can help you get back on track with that. It’s easy – and you will rest better knowing that you have taken care of it. Many less experienced tax preparers do not know how to depreciate your rental properly (or at all). This is a massive tax mistake that can cost you thousands in tax benefits. Did you know that you get a very large depreciation deduction on your rental every year? This can potentially increase your yearly refund significantly (thousands) and if you don’t take it, you lose it. Also, if you go to sell your rental property, you have to recapture that depreciation – even if you didn’t take it! We’ve seen so many IRS letters with enormous tax bills because the tax preparer did not recapture the depreciation – and it’s too late at this point to claim it in past years. This is just one example of why you should not have your taxes done by an under-qualified tax professional. Experts stress the importance of good business tax advice – especially when a business is just starting out. The problem is, who can afford high caliber professional advice at this stage in business? It is my goal to solve that problem. I structure my small and start-up business tax service prices to give the local small business owner a huge break when they need it most. If you operate a business or rent property, you are responsible to pay Hawaii GE Tax (general excise tax). This is done by applying for a license and filling out the appropriate GE Tax forms either monthly, quarterly, or semi-annually – depending on how much in GE Tax you have to pay. Contact us if you want help getting started with paying Hawaii General Excise Tax. Hiring employees? Payroll Services Oahu provides personalized payroll services for local small businesses starting as low as $59. Includes state forms. Free consultation. There is likely no need to be alarmed, but you need to act fast. Typically, the IRS gives you 21 days to respond to the letter. If you miss this deadline they will make their ruling without your side of the story. This can sometimes cost you money. Tax Services Oahu offers free consultations for locals and military – explaining the IRS notice and offering experienced advice on what might be your best course of action. Do not blow off your taxes! You might miss out on years of future credits and benefits. File for your refund each year on time before you are no longer able to amend the incomplete tax returns. Remain in good standing with the IRS. If you owe money to the IRS and you are getting behind please feel free to call and talk to me. I can answer your questions and offer my experienced opinion the best course of action going forward. Everything we discuss will remain completely private. No charge for the call, and no tricks. Filing extensions. Did you know that filing and extension with the IRS allows you to file late but you still have to pay any taxes expected to be due by the initial deadline? If you do not send in a check with the extension you will still be penalized. An extension is because you do not have information to complete the tax return, not because you don’t have the money to pay. So what can you do if you can’t pay you taxes? At least file! Why? Because the penalty for not paying is very small – but the penalty for not filing is huge. Did you receive a letter from Hawaii with an assessment for General Excise or Transient Accommodations tax? Here’s how to handle it. Lots of Hawaii Taxpayers miss the Hawaii Refundable Food/Excise Tax Credit when they prepare their state tax return. There has been some recent changes to this credit too. Here’s how to claim the credit and who qualifies for it. Hawaii policy makers created a small renters’ tax credit for those with low to moderate income. This credit is claimed along with your Hawaii State Income Tax Return. See if you might qualify for the Hawaii Renters Tax Credit. The IRS Called, is it a Scam? Watch out for fake IRS scams – they are more aggressive and more believable than ever. They will call pretending to be the IRS and they will ask you for money. These scammers can be EXTREMELY convincing. The IRS will generally not call you and they will not ask you for payment information over the phone. Call with any questions if you receive something suspicious. There are many reasons as to why it might benefit you to file an amended tax return. This article explores the top three. It’s much better to “file” and not “pay” your taxes than it is to not file your tax returns at all. Find out why. Some taxpayers believe that filing an extension gives them more time to pay their taxes without penalty. This is not always true and this is NOT what the IRS tax return extension grants. It only gives you more time to file. You still are expected to pay in your estimated tax balance by the original deadline to avoid penalties and interest. Receiving a letter or notice form the IRS or the State of Hawaii Department of Taxation can be difficult to understand and stressful. In many cases, the IRS and the state are correct in their assessments. In some cases, however, they do not apply legitimate deductions and the tax they are asking for might be more than you actually need to pay. In this article we explain why you might get a letter from the IRS and what to do when you receive one. If you are behind on your tax filing, it is always a great idea to put some time aside to get caught up. You may be missing out on tax credits and potentially years of future tax benefits. In many cases, getting caught up on back taxes is not that difficult. There are a few legitimate tax deductions out there that will help to make you rich. These are a”double whammy”. You get the instant gratification of paying less in taxes for right now and the “future you” will be more wealthy as well. 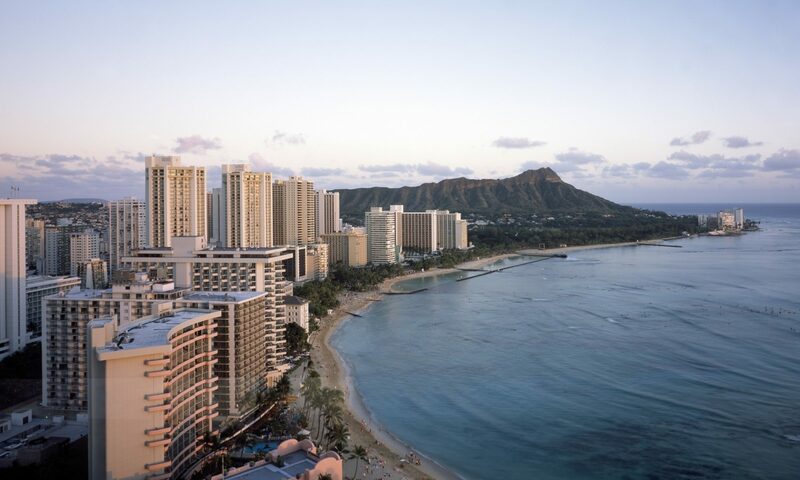 Hawaii will withhold 7.5% of the total sale of Hawaii property from non-residents. In some cases, sellers can reclaim some or all of this withholding and get a refund. Here’s how. “Online Tax Professionals” is an all-online tax preparation firm providing fully electronic services to small s corporations, partnerships, and expat taxpayers residing in non-US countries. “More Amazing Me” is a blog about weight loss, computer gaming, blogging, spirituality, and self improvement. “isurfnetwork” is a blog about surfing and surf travel. There is also a video blog of local surfing in Hawaii and beyond. “Par Edge” is a golfing blog about golf practice and scoring improvement. It is especially geared toward golfers striving to break 100, 90, and 80. Sharing is caring – please help us out by sharing our web page on Facebook. Mahalo, we appreciate that.